There is great value in belonging to something greater than yourself, no matter whether you define “community” as your friends, your church group, your book club, or your PTA. At OHI, we strive to build a culture of inclusivity and acceptance. We have always believed that a supportive sense of community has tangible health benefits, and now science is validating that theory. So how is a community created? In a recent NY Times Article titled “We Aren’t Built to Live in the Moment,” authors Martin E.P. Seligman and John Tierney postulate that the one thing that sets humans apart from animals is our ability to contemplate the future. It is that forward thinking that allows us to build communities together. (1) “It is increasingly clear,” write Seligman and Tierney, “that the mind is mainly drawn to the future, not driven by the past. We learn not by storing static records, but by continually retouching memories and imagining future possibilities.” Perhaps the most remarkable supporting evidence of this theory comes from recent brain imaging research. When recalling a past event, the hippocampus (a major brain component) must combine three distinct pieces of information — what happened, when it happened, and where it happened — that are each stored in a different part of the brain. Researchers have found that the same circuitry is activated when people imagine a future possibility. It is this ability to envision a positive community that sets us on a path to create it. One central role of OHI’s non-judgmental community is to foster a forward-looking attitude, projecting oneself or visualizing oneself in the future. This is reinforced by the “visualization activity” in our Saturday Vision Boards class, so once you get clarity on what you want out of life, the vision boards help lead you down a path to attain it in the future. So how do we choose whom we build our community with? Daniel Levitin, psychology professor at McGill University and author of This is Your Brian on Music, hypothesizes that feelings of belonging and mood elevation are biologically ingrained to surface with a shared communal activity. (2) Levitin focuses on the example of singing in a choir as the ideal communal activity, and points to a wealth of neurological research that suggests our brains release oxytocin when we sing with others. “Oxytocin is believed to give rise to feelings of togetherness and friendship,” Levitin said. In addition, when singing with others the brain sees an uptick in two powerful neurotransmitters — serotonin and dopamine. Dopamine activates the brain’s pleasure center, while serotonin is deployed to ward off depression. Of course, this research doesn’t mean everyone should join a choir. At OHI, our Vocal Toning class and Friday Night Live can foster the same sense of community as singing. We’ve been ahead of the curve all along! Now, once you’ve visualized your community and found a shared activity that brings you together, what happens to your community when life deals you a crisis? 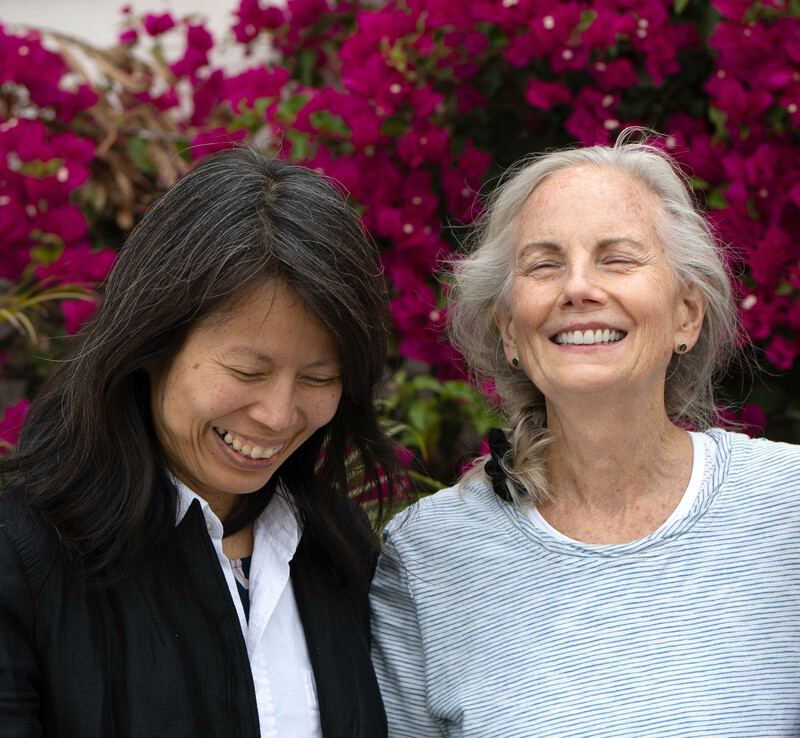 In a recent NY Times article titled “Women’s Friendships in Sickness and in Health,” author Deborah Tannen theorizes that the silver lining in the dark cloud of serious illness is the help and caring offered by friends. In her book, “You’re the Only One I Can Tell: Inside the Language of Women’s Friendships,” Tannen reminds people that a whole host of cultural influences — ethnicity, geographic region, class and family styles — all affect how we show caring. (3) “When fear of saying or doing the wrong thing tempts you to say or do nothing, it may help to remember that just reaching out can mean the world,” she says. Find your community at OHI. You’ll be a better person for it! The New York Times, Opinion column “We Aren’t Built to Live in the Moment,” by Martin E.P. Seligman and John Tierney, May 19, 2017. CBC Radio, “The Science Behind Why Choir-Singing is Good For You”, blog by Sarah Claydon, March 29, 2018. The New York Times, “Women’s Friendships, in Sickness and in Health,” by Deborah Tannen, April 25, 2017.